Were you keeping an eye on the Victoria and Abdul costumes? Out now on general release though we haven’t seen it yet. Thanks to one of our eagle-eyed customers – a milliner so paying particular attention to the hats – who spotted this ribbon on screen. We do have a little in stock here though it is not in the ribbon shop as yet. 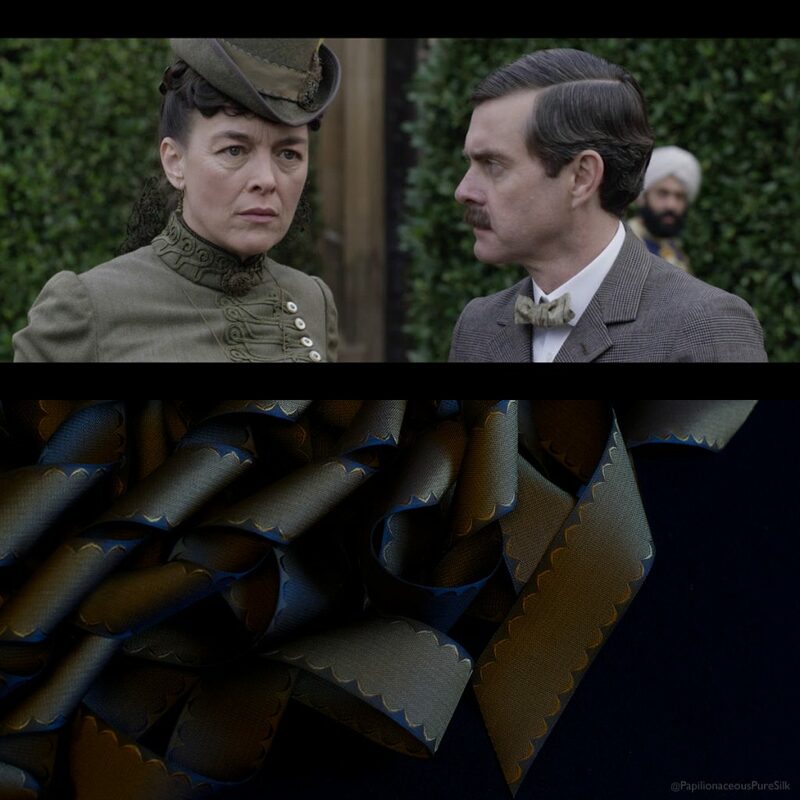 Costume design is by the Oscar nominated designer Consolata Boyle (Florence Foster Jenkins, Testament of Youth, Miss Julie, Philomena) who we have just discovered did a postgraduate diploma in textiles at West Surrey College of Art & Design – which is where Papilionaceous designer and weaver Robert Ely learned to weave! (We do love a nice little coincidence).